The Best Thanksgiving Car Deals! Don't sign just yet and end up being a turkey at a car dealer's Thanksgiving! Let Car Leasing Concierge carve up a better price that you'll be thankful for. Check with carleasingconcierge.com/car-price-check before you sign elsewhere. 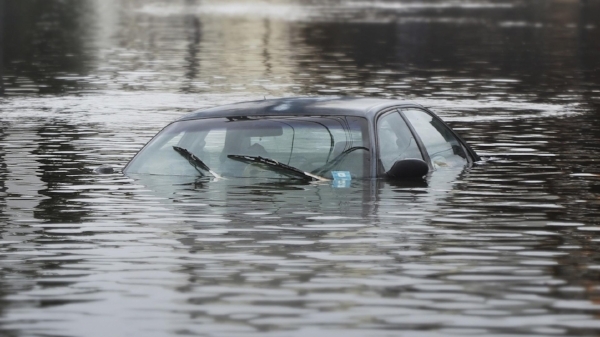 Flood Damaged Cars - How Deep Do Car Insurance Companies Go? 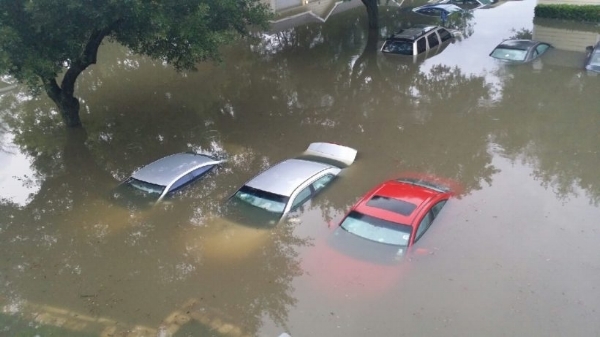 Car Leasing Concierge opens the floodgates about Car Insurance Coverage on Flood-Damaged Cars! Many car insurance companies have been flooded with calls and emails after Hurricane Harvey and Irma that left many customers asking, is my car covered for flood damage? and how deep do insurance companies go to declare it a total loss? State laws and your insurance company's guidelines dictate how a vehicle is determined to be a total loss. 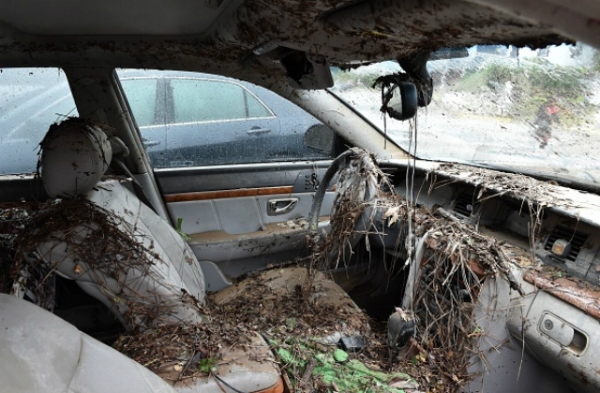 You must have comprehensive insurance coverage for your car to be repaired or replaced after flood damage. You will owe your chosen deductible. It's so severely damaged it cannot be safely repaired. It costs more than the worth of the vehicle to repair it. Or, if the amount of damage or cost of repairing the vehicle is too much, according to state regulations or the insurer's guidelines for a total loss. Typically, cars are "totaled" when the cost of repairs to fix the vehicle is higher than the vehicle's actual cash value (ACV). However, in some cases, it's not practical to fix a car, even if the cost to do so is less than the ACV. In that case, insurance company guidelines and state laws come into play when determining whether the car is totaled or not. Insurance companies calculate the “total loss ratio” or “damage ratio” (cost of repairs divided by the actual cash value) when determining whether a car is totaled. This ratio is then compared to limits either set by the company itself or by state law. 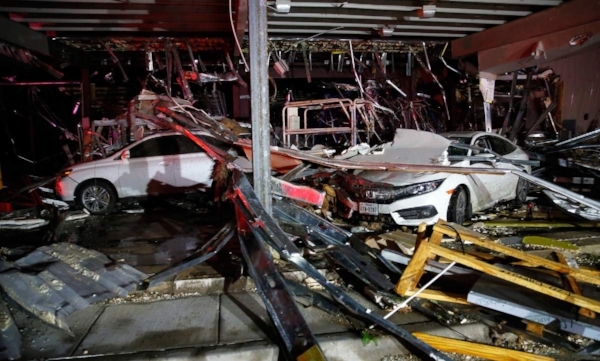 Some states dictate how high this damage ratio needs to be to declare a car totaled. This is referred to as the Total Loss Threshold (TLT). To total a car, the total loss ratio must exceed the established TLT percentage. If the TLT is not dictated by the state, your insurance company will generally use another formula, known as the Total Loss Formula (TLF) which is: Cost of Repair + Salvage Value > Actual Cash Value. If the sum of the repair cost and the salvage value is greater than the ACV, the car can be declared a total loss. A damaged 2007 Toyota Corolla with 105,000 miles in good condition with an approximate value of $5,000. Total repair costs are $3,600, for a damage ratio of 72 percent. This car would be considered a total loss in Indiana, where the TLT is 70 percent, but not in Oregon where the TLT is 80 percent. In California, the TLF would be used and, if the salvage were worth $1,000, the car would not be totaled ($3,600 + $1,000 < $5,000). These states use the TFL formula and rely on licensed appraisers during the process: California, Connecticut, Delaware, Georgia, Hawaii, Idaho, Illinois, Maine, Massachusetts, Mississippi, Montana, New Jersey, New Mexico, Ohio, Pennsylvania, Rhode Island, South Dakota, Utah, Vermont, and Washington. Your car insurance company can have its own internal guidelines that "total" a car, and that may be at a lower threshold than your state's TLT. However, an insurer can't have its own threshold set for a higher amount than the state. "For instance, in Florida, the state TLT is 80 percent, but if your insurer's own guidelines say to total a car at 75 percent, they can do that," but the insurer can't have a TLT at, say, 85 percent because that would be against the law." Comprehensive insurance -- If your vehicle sustains water or flood damage, you can file a claim under your comprehensive insurance coverage, which covers any type of damage to your car up to its actual cash value that's caused by natural disasters instead of accidents. Collision coverage -- Collision comes into play if you hydroplane and flip your car or hit another car or a tree. Your claim will pay to repair your car or will pay the actual cash value of the car. You do still have to pay the deductible whether the accident was your fault, someone else's or caused by the storm. Gap insurance -- This type of insurance comes into play if your car is totaled and you owe more money on your car than it's worth -- gap insurance will pay the difference. "For instance, if you owe $15,000 on your car loan but your car is only worth $12,000, gap insurance will reimburse your lender for the extra $3,000. You can get gap insurance from your car insurance company or from your car financing company, but it's usually more expensive from your lender. Rental car reimbursement-- Depending on your situation, rental reimbursement coverage is a wise choice or a waste. If you have a second car or a way to get where you need to go without your car, you don't need rental coverage, she says. But if you'd be left stranded for weeks while your car is being repaired, it may pay to have it. "Rental reimbursement coverage is optional and pays you a certain amount of money per day or per week for a rental car to drive while your car is being repaired. When you should buy your leased car! The buyout option at the end of a car lease can be an attractive opportunity or a tool for damage control. The buyout price is set by the leasing company at the beginning of your contract. If you're anticipating extra fees and penalties, buying the car can cut your losses. Or, if market conditions have changed since you signed the lease and you've lightly driven the car, you could turn the hidden value in your vehicle into real savings. Now that you know the numbers, here are the times when you might want to stay with old faithful. Most lease contracts are for three years and 36,000 miles. If you're over, you'll owe money; if you're under, you could leave money on the table. "Why pay two or three grand in mileage penalties and have nothing to show for it?" says Matt Jones, a senior consumer advice editor at Edmunds. "Not only that but buying the car will save you the disposition fee," the charge to prepare the car for resale, which is usually $350 to $500. But also check your contract for purchase option fees (typically about $350), charged by some leasing companies, and factor that into your decision. Conversely, returning a car you drove only 10,000 miles when you paid for 36,000 miles is like handing the dealer a big check. Instead, buy the car and use the value you've paid for, Jones says. Or you can get a no-haggle appraisal at CarMax (or at a dealer, although this could involve some haggling). If the numbers break in your favor, since the under-mileage car is worth more than the buyout price, the agency will buy your lease and give you a check for the difference. Buying your leased car saves the leasing company shipping and auction fees. That's why, in some cases, they'll call and offer you a lower buyout price than what's in the contract. But Maloney says it often isn't a good deal since they'll likely offer the retail price, when you should aim to buy it for wholesale. To negotiate a reduced buyout price, you'll need to talk to a lease-end manager at the leasing company who has the power to approve lower prices. Banks writing leases may be more likely to negotiate than automakers' finance companies. "It's really just a case-by-case basis," Jones says. He says leased electric vehicles often have reduced buyout prices because of low resale values. If you buy the car then sell it to a friend, you'll have to pay sales tax. Instead, see if the finance manager at a local dealership will do a "lease pass-through," says Scot Hall, executive vice president of operations for Swapalease, which matches leaseholders with car shoppers looking to take over a lease. Basically, the dealer buys the car from you and immediately sells it to your friend. You aren't charged sales tax and the dealer makes a few hundred dollars for moving paper. But be aware: Your warm body without a car in a car dealership means that you're probably in for a sales pitch. Maybe, you think, it's time to stop being a serial leaser, jumping from one leased car to another, always having a monthly car payment. If you like your car, compare the buyout price to the retail price on Edmunds and Kelley Blue Book. If it's a fair deal, skip the dealership and send the lease company a check. Keep in mind, however, that you won't be protected by the bumper-to-bumper warranty which is typically for three years and 36,000 miles. But the powertrain warranty, covering major parts like the engine, transmission and suspension, might still be in effect. Provided to the Associated Press by the personal finance website NerdWallet. 2017 #1 Best Rated Car Buying Concierge Service! Voted #1 Best Car-buying-service in the New York, New Jersey Tri-State area! Car Leasing Concierge was voted the 2017 #1 Best Car-Buying-Concierge service in the New York, New Jersey Tri-State area for their simple, step-by-step, quick and easy process for new buyers in the market to buy or lease any new Car, Truck, Van or SUV. Their valuable and transparent buyer's guide saves shoppers Time, Money and unnecessary Stress all without having to step foot inside a car dealership. Car Leasing Concierge’s professional Direct Fleet Network System eliminates all the confusing car dealer prices, finance rates, and hidden fees one would normally incur when shopping for a new vehicle. Their no-wait concierge service ensures delivery of your new vehicle to your home or office, accompanied by simplified paperwork that takes only minutes to sign. They’ll conclude with a new car orientation -- all within 24 hours! For many, purchasing a car at a dealership is too much of a confusing high-pressure process. It’s easy to see how it’s preferable to haggle over prices and options and review the fine print at one’s leisure in front of a screen rather than surrounded by salespeople and their “let me talk to the manager” games. Once you decide on a car model, car-buying services use certified representatives to do all the searching and haggling for you. And online car shops enable you to buy from your living room couch. A lot of people are just not prepared to effectively negotiate a car deal for themselves. If you want an expert’s help with finding, negotiating and purchasing a new or used car — or you want someone to do those things for you entirely — consider the following. Auto concierges learn about a shopper’s vehicle needs and preferences than do the legwork. This is where business owners and corporations go to buy or lease their vehicles, as it far supersedes anything a dealership will offer you. Lastly, Concierges will even have the car delivered to your home or office so you can sign the sales contract. Car Leasing Concierge is changing the way people buy or lease a new car, in fact, you don't even have to step foot inside a dealership. It’s a quick and easy process that many businesses and corporations use. Alfa Romeo NY, NYC, NJ, CT Buy or Lease! Bypass car dealerships and save! Car Leasing Concierge's Fleet Network System works directly with car manufacturers. This allows us the ability to offer wholesale -- better known as fleet pricing -- along with factory-to-dealer incentives normally not offered to the public at car dealerships. Many businesses and corporations we cater to, also use our services to buy or lease their own personal vehicles. 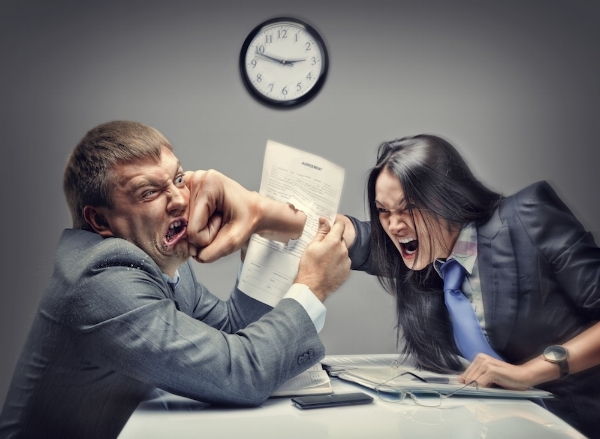 This allows them to bypass car dealerships entirely, saving them valuable time, money and unnecessary stress. If you have a new vehicle in mind, we'll be more than happy to check your deal for a better one. In most cases after a quick analysis is complete, clients end up saving hundreds to thousands of dollars more they weren't even aware of. Our no-wait concierge service ensures a complimentary delivery of your new vehicle to your home or office, accompanied by simplified paperwork ready for you to sign. We'll conclude with a new car orientation -- all within 24 hours! We'll also provide a courtesy pick-up of your trade-in or lease return. At Car Leasing Concierge we're not here to sell you a car, we're here to help you buy or lease one! Car Leasing Concierge is not affiliated with any car dealers or sponsored advertisers, and does not sell or share any information you provide. It is used for the sole purpose of assisting customers looking to save money when they're in the market to buy or lease any new car, truck or SUV without having to go to a car dealership. Visit carleasingconcierge.com/car-price-check to get the deal you want, your way, today! Driven Mothers Don't Waste Time! Are you a driven mother that's always pressed for time? As auto manufacturers begin to identify the demographics of their consumer targets, mothers are increasingly asked what’s most important to them when purchasing a vehicle. Is it selection, price, vehicle safety? Most likely. But to many, it’s about how they are treated by sales professionals. Women (and mothers) too often in particular have felt overlooked or pressured as potential buyers by dealerships’ past marketing and selling techniques. Oftentimes the final decision on selecting the new family vehicle will rest with mothers, and they want to have their voices heard, and find a simpler way to buy or lease a car. Car Leasing Concierge knows our clients lead busy lives that require helpful solutions for their lifestyles. As hard-working moms, we realize you'd rather spend more quality time with your children than at an auto dealership! Car Leasing Concierge helps you bypass the dealer, saving you valuable Time, Money and unnecessary stress. We help you feel secure throughout the purchasing or leasing process with our personalized service. Your family's needs are always our expert staff's top priority, and as an added convenience, we'll even deliver your vehicle to your door! Car Leasing Concierge is the best way to buy or lease any new car without having to go to car dealers! Visit us at carleasingconcierge.com/car-price-check for more details, or call 1-800-886-1950. At Car Leasing Concierge, we're not here to sell you a car; we're here to help you purchase one. To learn more on how we can assist you and your family, visit carleasingconcierge.com/car-price-check or call 1-800-886-1950. This story originally appeared on LearnVest as "When Is It Smarter to Lease a Car?" Need a new ride? There’s more than one way to get it. An increasing number of people are forgoing the car loan application process and opting to lease a car instead. In fact, leasing has grown so popular that it now accounts for nearly a third of all vehicle sales. Before you jump on this trend, let our checklist below help you decide if leasing is right for you. You Don’t Have Much Money to Put Down. If you’re buying a car, you’ll typically need to hand over at least 10% of the price up front to get the best interest rate on a loan. But with today’s average new car costing more than $34,000, that 10% down payment “can be a struggle for many people,” says David Bennett, manager of automotive programs at the Automobile Association of America (AAA). By contrast, you can often lease a car with little to no down payment. “Cost factors are the number-one reason why leasing is becoming so popular,” Bennett adds. When you lease, your monthly payments are about a third lower than if you were to buy the same model car with a five-year loan, according to one recent case study. And you’ll be on the hook for less time: “Most leases are two to three years,” explains Bennett. “That’s part of the beauty of a lease. It enables you to get into a car that’s nicer than you might be able to afford if you had to put a lot of money down,” says Paul Maloney, owner of Car Leasing Concierge in New York City. Do you always rush to buy the next-version smart phone or HDTV? Crave the upgraded model of everything? Leasing might be your best bet, says Maloney, since you only have to keep the car for a couple of years before switching to a new one. When you lease a car, you need to keep it as it is. If you’re itching to have a spoiler put on or to swap out that steering wheel for a cooler one (you know who you are! ), you’re better off owning. “When you lease a car, it’s under warranty the whole time,” Bennett explains. If there’s a problem, the repair won’t be coming out of your pocket. “You can write off part of your lease financing costs on your taxes,” says Maloney. You can also deduct a portion of the vehicle’s depreciation. Meanwhile, interest on the loan you took out for a new ride isn't deductible. “Most car leases have a mileage limit, typically 12,000 miles per year, which is about what the average person drives,” says Maloney. After that, you'll likely have to pay up to 25 cents per mile. If you know your driving habits and can stick with your plan’s mileage limit, great. But keep in mind this isn’t a match for everyone’s needs: The average 35- to 54-year-old man, for instance, drives nearly 19,000 miles annually, according to the Federal Highway Administration. Will your company be transferring you from the South, where a convertible may be fine, to the North, where a four-wheel drive might come in handy, in a few years? Will you be getting married and starting a family? “A lease allows you to get exactly the car you need now and makes it easy to jump into a different vehicle for your new needs a little later on,” Bennett says. Getting rid of a car you own always involves some negotiation. If you’re trading it in, you’ll square off with a dealer; if you’re selling, it may involve placing ads and posting on social media — then having strangers come to your home. With leasing, though, the process is simple: You just return the car to the company you leased it from like Car Leasing Concierge. For more information on Buying or Leasing any new car, truck or SUV without having to go to a car dealership visit Car Leasing Concierge www.carleasingconcierge.com/car-price-check and have it delivered to your home or office at no extra charge. Looking For Cars With Very Attractive Prices? Car Leasing Concierge's First Class Treatment bridges the gap between high-end hospitality and automotive. Unlike car dealerships, we provide an exclusive personalized service that's second to none when looking for the best luxury car lease and financing deals in New York, New Jersey and Connecticut, making our clients feel like VIPs. We understand our clients lead busy lives that require helpful solutions. Our goal is to alleviate stress by meeting our customers' personal and professional automotive needs while building a solid working relationship. The best car lease and financing in deals in NYC, NY, NJ , CT and PA.
White-gloved door-to-door delivery of your new vehicle, with simplified forms ready to sign, following a detailed orientation of your new car, truck or SUV. This avoids lengthy delays waiting at a dealership! Top-tier personalized service - Our professional concierges are available to assist clients 24-7 via phone or email. Luxury at your fingertips - Car Leasing Concierge maintains an extensive trusted referral network of over 100 luxury providers. Learn more by visiting our Corporate Partners page. Ongoing communication - Developing long-term trust is key, and our connection with customers never ends after the final transaction. As our customers' private liaison, we will address any and all requests - even after delivery! 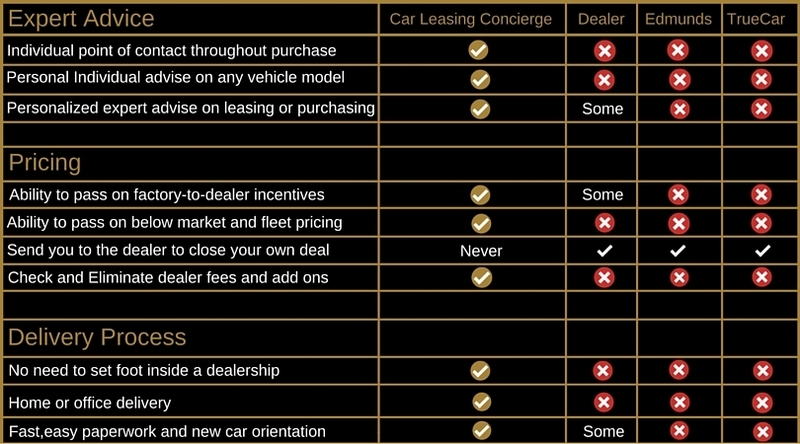 At Car Leasing Concierge, we're not here to sell you a car, we're here to help you buy or lease one! The Best Business Car, Truck, Van and SUV Deals in NY, NJ,CT! The Best Business Car, Truck, Van and SUV Deals in NY, NJ, CT! Visit carleasingconcierge.com/fleet-vehicles to learn more. Car Leasing Concierge's Fleet Network System works directly with car manufacturers. This allows us the ability to offer wholesale -- better known as fleet pricing -- along with factory-to-dealer -incentives normally not offered to the public at car dealerships. Most businesses and corporations use our services, this allows them to bypass car dealerships completely, saving them valuable Time, Money and unnecessary Stress when running a business. Whether your company requires a fuel-efficient Toyota Prius, heavy duty pick-up truck or commercial vans, we have an unlimited selection of colors and options to choose from, all at low factory prices. Simply fill in your request and let us know what you're looking for. Call today for no delay at 1-800-886-1950, or visit carleasingconcierge.com/fleet-vehicles to learn more. Bypass Car Dealerships, Buy Direct and Save! Buy or Lease any new car online and have it delivered to your Home or Office. Today's buyers live busy active lives, our goal is to save you valuable Time, Money and unnecessary Stress. Visit carleasingconcierge.com/car-price-check to learn more. Most businesses and corporations also use our services to buy or lease their own personal vehicles. This allows them to bypass car dealerships entirely, saving them valuable Time, Money and unnecessary Stress. Simply enter your best price quoted in the required boxes. In most cases after a quick analysis is complete, clients end up saving hundreds to thousands of dollars more they weren't even aware of. Check today, this way you'll rest easy knowing you've secured the best deal possible for your hard-earned dollars.